April 12, 2019  The North Korean leader shunted aside a pair of long-serving senior officials and seated a newly elected parliament. The move is thought to be aimed at helping Kim ride out U.S. sanctions. 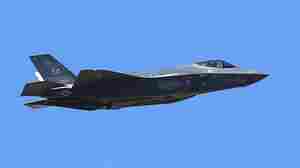 April 10, 2019  Japan's military reported on Tuesday that it lost an F-35 stealth jet off the coast of Japan, in the Pacific. Pieces of the plane have been located and a search for the pilot is ongoing. April 2, 2019  The group's leader is "less like the leader of a civic group, and more like a soldier on a battlefield, bold and combative," says a defector who has worked with him. "He's a very charismatic leader." 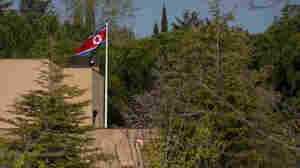 April 1, 2019  A North Korean official says the U.S. missed a golden opportunity at the recent summit in Vietnam, and that Kim Jong Un will soon decide whether to pull out of nuclear negotiations with the U.S.
April 1, 2019  More than a month ago, there was a raid on North Korea's embassy in Spain. An obscure group claimed responsibility for the break-in and declared a revolution against the North Korean government. March 6, 2019  Just days after the U.S.-North Korea summit ended in a stalemate, satellite images show workers have been active at a partially disassembled missile test facility. March 4, 2019  Last week's summit between President Trump and North Korean leader Kim Jong Un ended without a deal. This was a big setback to South Korean leader Moon Jae-in. February 28, 2019  The second summit between President Trump and North Korean leader Kim Jong Un abruptly collapsed Thursday when both sides failed to reach a deal in denuclearization talks. February 28, 2019  President Trump's summit with North Korean leader Kim Jong Un has ended without a deal. Also, we have analysis of Michael Cohen's testimony. February 27, 2019  On the other side of the world, President Trump and North Korean Leader Kim Jong Un are set to begin talks in Hanoi Vietnam about steps North Korea might be willing to take to denuclearize. February 27, 2019  Playing host to the second summit between President Trump and North Korean leader Kim Jong Un, people in the Vietnamese capital are having fun with everything from T-shirts to parody haircuts. February 26, 2019  North Korea is gradually replacing its socialist economy with a market economy. 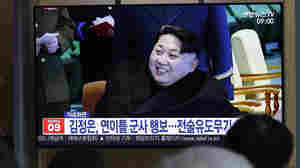 Some experts believe that has motivated North Korea's leader to go to the negotiating table for denuclearization talks.